In the year 2001 , he started screw pump manuafcturing division named Hydro Prokav pumps India Private Limited . Hydro Prokav Pumps is one of the leading manufacturers and exporters of Progressive Cavity pumps catering to different Industrial requirements. As a part of diversification programme, we have commenced manufacturing the complete range of Positive Displacements since 2000 such as, Progressive Cavity Pumps, Helical Rotor Pumps, Sanitary Design Quick Clean PC Pumps, Wide Throat PC Pumps, Vertical PC Pumps, Twin Screw Pumps and Triple Screw Pumps , Sanitary lobe pumps etc.. These pumps are designed for handling varieties of fluids like non-viscous, viscous, corrossive, abrassive, high consistant, hygenic, fibrous and also liquids with solid suspensions such as semisolids. In general, we, at Hydro Prokav Pumps India Pvt. Ltd, offer complete solution to your various pumping requirements. These pumps can be employed for duties which are generally considered non-pumpable by the conventional methods. Hydro Prokav utilizes the Latest special art of manufacturing Technology namely CAM PROFILE MACHINING USING CNC WHIRLING MACHINES for manufacturing Rotors and Cores for Stators. Hydro Prokav is equipped with CNC Machine Shop with CNC Whirling & Milling Machines, Vertical and Horizontal Machining Centres, Conventional Machine shop with various Special Purpose Whirling Machines, Lathes, Milling Machines, Turret Lathes, Drilling Machines and Grinding Machines. The Integrated Manufacturing Plant also effectively employs its Heat Treatment Facilities for Hardening of Rotors, Shafts, and Gear Joints & Special Articulated Joints. The Electroplating Facility located in the Modern Facility imparts good surface finish to its rotors by Hard Chrome Plating, High Nickel Chromium or Special Coating as per customer’s requirements. To add the best feature for its Progressive Cavity Pumps, Hydro Prokav produces not only their own cores, but its full fledged Rubber Stator manufacturing plant inside the Integrated Facility at the Industrial City of Coimbatore. 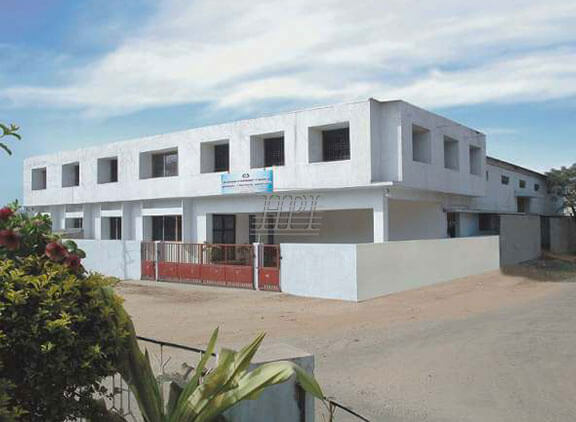 The Rubber Manufacturing Facility is backed with Rubber Mixing & Chemical Labs, Moulding Shop, Vulcanizing Chambers and Finished Rubber Stator analysis and Test laboratory. Hydro Prokav Rubber Facility has a installed capacity of production of more than 20,000 per annum. Various Rubber Like Natural Rubber, Synthetic Grades of NBR, HNBR, Neoprene, EPDM, Hypalon CSM, Viton, Silicon, Polyurethane are processed for Stator manufacturing process. As a part of its diversification programme, the group has started manufacturing complete range of Progressive Cavity pumps with a tie- up with a leading consultant based at USA. Apart from catering to the needs of our Indian market, we export all our Products to countries like Sri Lanka, Bangladesh, Pakistan, Malaysia, Thailand, Indonesia, Vietnam, Taiwan, China, Hongkong, S.Korea, Japan, Australia, Germany, France, Italy, Denmark, Netherlands, Spain, Norway, Sweden, Switzerland, Dubai, Sultanate of Oman, Sulatanate of Yemen, Iran, Turkey, Egypt, Nigeria, Maroc, Uganda, Kenya, South Africa, USA, Canada, Peru & Argentina, Equador, Russia, Columbia..